Well, Winter Storm Gorgon has passed through our area. We only got a few inches of snow, but oh boy! did it shut this area down. Hubby and I both still worked, and Little J still went to day care, but it was treacherous getting there. To give you an idea, in a 7 hour period yesterday morning, our local police responded to nearly 150 accidents. The roads were very icy, and people were still driving fast. The snow has stopped, but the temperature will continue to fall over the next couple of days. There’s one thing that the cold, dry weather always brings to our home- eczema. Growing up in Canada, I often had terribly dry skin on my hands in the winter to the point that they’d crack and peel, but I never had eczema. It took me a while to recognize it on my son. Actually, I think my MIL first pointed it out, when I mentioned he had a really dry patch of skin that wouldn’t go away. This was last winter. It’s one spot in particular above his knee, and has reappeared this year. It goes away in the spring and reappears in the fall once the cold weather returns. Little J’s eczema doesn’t disappear during the winter, but if I treat it consistently, the skin will at least stay only a little dry. It’s not bad enough then to bother Little J. One time last winter it did get out of control, and his skin cracked and peeled and almost seemed to blister?? 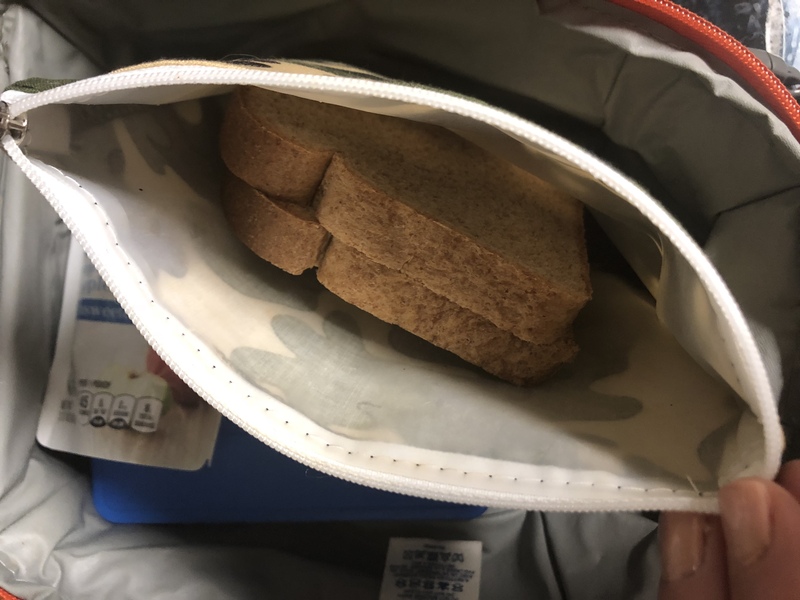 It was the first time I’d dealt with something like that, and I was a little horrified. 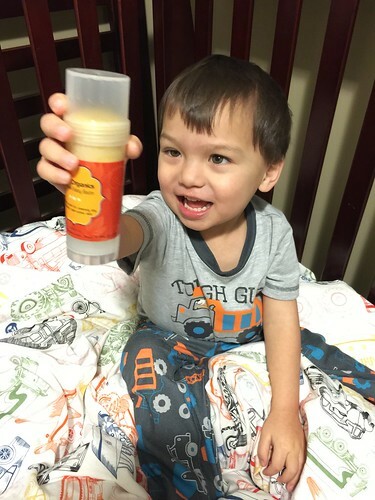 The last few weeks I’ve been using an Intensive Baby Balm that Avishi Organics sent me to review. 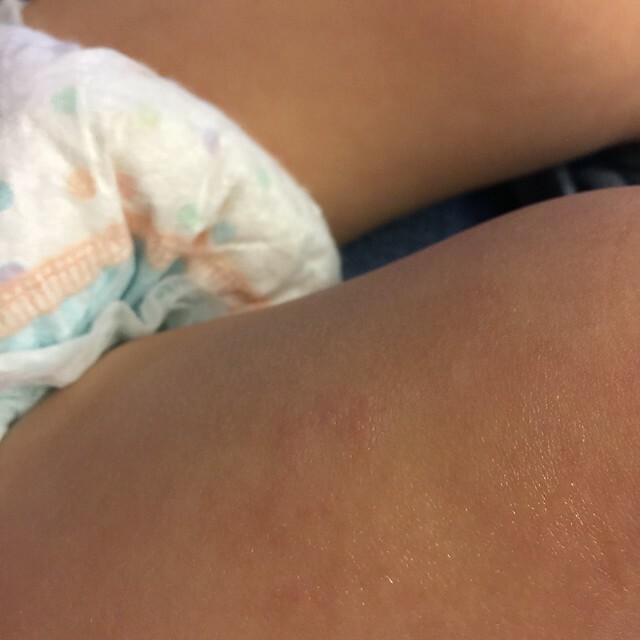 When it first arrived, I thought it was just for diaper rash, but then I read a testimonial on their website where a mother said she used it with success on her child’s eczema. So I started to use the balm for that instead, and it works! As I’ve mentioned, the balm (like every product I’ve tried) doesn’t completely get rid of his dry skin, but with regular use, the Intensive Baby Balm helps it get better (the dry patch is soooo close to being completely gone) and the balm definitely keeps the skin from getting worse. The balm does so without chemicals, fragrances, colors, parabens, and sulfates. You can see the red patchy spot on his leg. 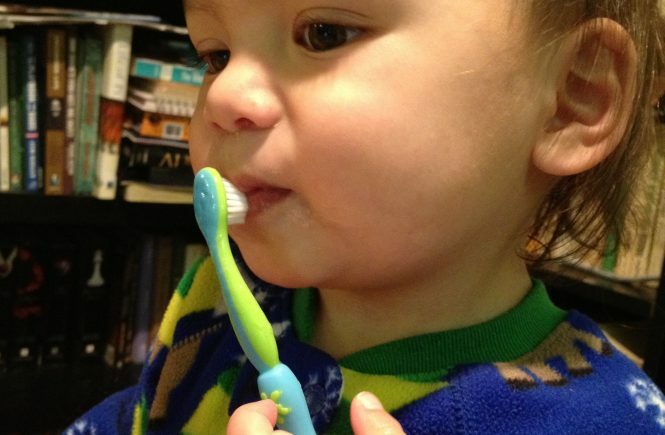 This is when I started to use the Avishi Organics Intensive Baby Balm. This is after 2 weeks of application, 3 or 4 times a day. I think it looks better! I also like that it’s a stick, because I do get tired of having to wash my hands after applying lotions and creams. Yes, frequent hand washing is good when it’s flu season, but it also dries my skin out! Because it’s a stick, I also let Little J apply it himself while I supervise. As a busy 2 1/2 year old, he loves to do things himself. Avishi Organics has all the ingredients of their balm listed on their website. Ingredients include coconut oil, neem oil, plantain, organic beeswax, and vitamin E.
Overall, I’m pleased with this product. 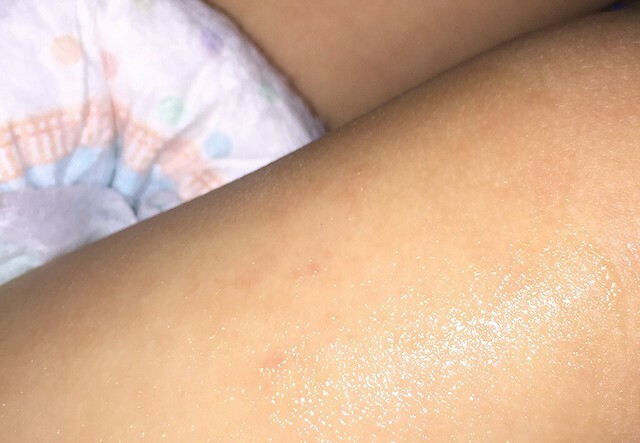 In fact, this reminds me to go put some on my son’s leg… Okay, I’m back and just took a photo, so you can see what his eczema spot looks like tonight (that’s the “after” photo that I stuck up above). A little goes a long way with this product, so I’m pretty sure this balm will last us all winter…probably two winters. If you or your little one suffers from dry skin, I recommend you give this a try. And, of course, you can always use this as a diaper rash cream! Visit Avishi Organics to learn more. 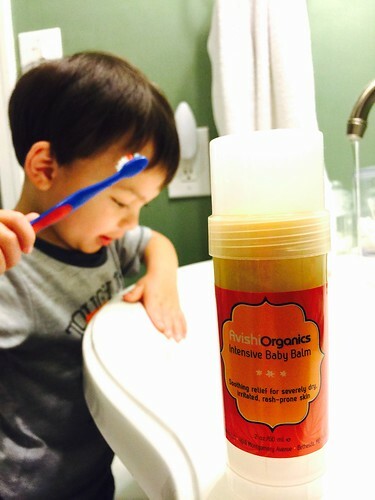 Note: I received a free tube of Intensive Baby Balm from Avishi Organics. The opinions reflected above are my own and may differ from others.